Medical practice breakups and physician departures are inevitable. Some are the result of professional or personal disputes, and others are simply the result of practical or economic realities or life events (disability, death, retirement, etc.). Whatever the circumstances, failing to carefully execute a plan for the breakup can quickly result in financial, legal, and emotional complications. All physicians and physician practices should anticipate the inevitable conclusion of any professional relationship. 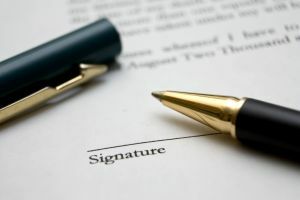 When a business relationship fails or otherwise ends, not having a properly done contract that fairly, accurately and precisely sets forth the parties’ respective rights and obligations will be a painful mistake, financially and otherwise. At the beginning of the marriage (or at least during the period that it is happy), the parties should carefully and thoughtfully construct a written agreement that states their meeting of the minds. 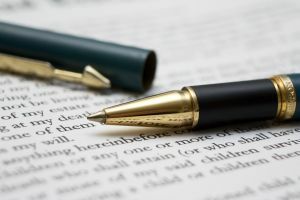 That contract should also specifically set forth in reasonable detail a road map for the parties to separate when it is time for the relationship to conclude. Ending a professional relationship is not easy for anyone. But the demise of a healthcare business relationship among doctors often involves more risks, greater headaches, and more issues to tackle than non-healthcare businesses. 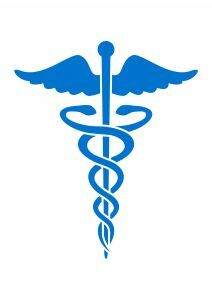 Dividing up medical business assets is, for example, much more complex and involved than simply drawing a line down the middle of the office. Federal laws and regulations affecting healthcare providers pose significant business risks and adverse legal ramifications where the division of assets is not done properly. If you and other physician owners are leaving a practice, it is critical to ensure any division of big ticket items — e.g., medical equipment leases, practice branding, and electronic health records – is done in a legally compliant manner. Most often, medical equipment in physician practices is leased. The leased status creates potential complications if multiple owners want a particular item or if, on the other hand, no one wants the accompanying financial obligations. Whichever side of the coin your practice breakup falls on, medical practice owners should take into account the depreciating value of the equipment when determining the division of assets. Sometimes, outstanding liabilities or personal guarantees that equipment may be subject to are mistakenly overlooked in the process of dividing assets. The division process should begin with an experienced consultant who can aid in the necessary number crunch and ensure fair and balanced allocation of value and financial responsibilities that attend leased equipment assets. While a practice’s name and brand may not be easy to value with precision, the inherent value should be weighed and factored into the division of assets. As with any business, the reputation of a brand or identity is a key to success. 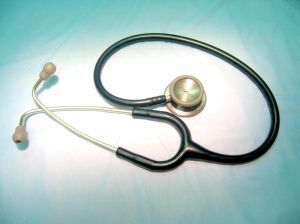 A medical practice’s good reputation carries critical patient confidence, which is a valuable asset for any practitioner. When physicians choose to work in the same field and geographic area, the division of such an asset is problematic and may raise difficult business and legal issues. Physicians often reach a point where they no longer want the headaches of owning their medical practice, which comes with administrative, financial, regulatory and legal burdens. While they might wish to continue to see patients, they no longer want the headaches of ownership and desire the financial security from selling their practice. Buyers of medical practices generally are looking for one that is well regarded, has a similar philosophy regarding patients, is healthy financially and has a potential to generate income. Finally, they want to be able to arrive at an agreeable compensation agreement. In the process, a buyer will look for anything that could be a deal breaker. The status of a medical practice is very important for many reasons. Name recognition can be a primary factor for new patients, referrals, hospital relationships and insurance carriers, as well as recruiting new physicians. Reputation is the key. The staff should be prepared for a visit from potential buyers to size up the organization, the office, its furnishings, professionalism and interaction with the patients. Buyers need to feel like the practice is a group of team players who are willing to work together to grow the practice through eliminating unnecessary expenses, improving its efficiency and the quality of patient care. Obviously, the physician wishing to sell the practice wants to obtain a generous compensation package. Some of this money will be up front. The remainder can be in the continued employment agreement providing a base salary and incentives for growth and performance. Both sides will have their own parameters and negotiations will be ongoing throughout the process, until the terms and conditions are agreed upon. Once the reputation of the practice has been accepted and it is determined that there is a group of team players who match the buyer’s philosophy, the task of analyzing the financial health and income potential begins. Financial statements, tax returns, salary histories of staff and physicians, payer mix reports and coding practices must be reviewed. Disclosure of any outstanding liability exposure, including existing or potential malpractice claims must be made. Finally, an examination of the quality of furnishings, equipment and computers must be conducted. It is never a good sign if a practice is still using paper files for billing purposes or patient information. Just as in the purchase of a home, a primary factor to consider is price. Red flags that prevent a deal from ever getting off the ground are unrealistic expectations of the worth of the practice or unreasonable expectations of future compensation.